Henri (and other politicians) were dancing the Memphis bop. To be sure, it was 21 years ago — the spring of 1993 — and much has altered in the political sphere, in Memphis and also in Nashville, where the picture that accompanies this article was shot with the trusty 35 mm. camera I was using at the time. Yes, those of you who thought the person on the left looked more than usually familiar are correct. That is indeed one Henri Brooks, the Shelby County Commissioner of today but a generation younger then, in the middle of her very first year as a state representative in Nashville. And she is doing a very credible and animated version of the Memphis bop. Rep. Brooks' dancing partner was another state rep from Memphis, Tim Joyce. Joyce had some rhythm, too. 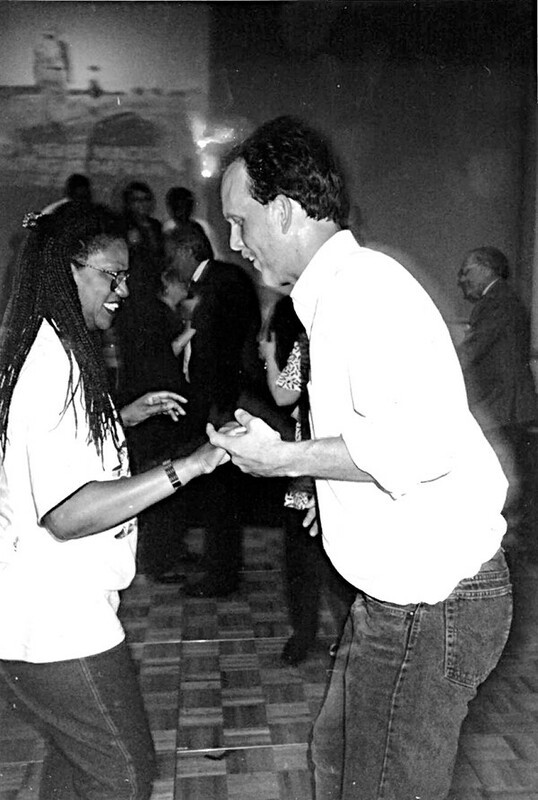 He and Brooks constituted one of several fun couples who took advantage of a break in proceedings to shake a little after-hours booty, midway in the spring 1993 legislative session. It was an affair put together— live band and all — by the Legislative Plaza lobbying corps. Others who took part included the late House Speaker Pro Tem Lois DeBerry, more than able on the dance floor as on the dais, and state Rep. Bret Thompson, a first-termer like Brooks, who not only danced, but sang from the stage in an R&B style that owed something to the erstwhile "Philosopher of Soul," Johnnie Taylor. Probably none of the several score of people who juked at that rare event are still on the scene in the legislature. DeBerry, as beloved a figure across party lines as there was in the General Assembly, died only last year, after a multi-year battle with cancer. Joyce was beaten, as I recall, in the next election by a fellow Republican. Thompson took a shot at an open state Senate seat but was beaten by fellow state Rep. Roscoe Dixon. Both would run into some trouble with the fates — or their own inner demons (Dixon via the FBI's Tennessee Waltz sting). Thompson, a lawyer, took a fall for misconduct with a client's funds and was disbarred. 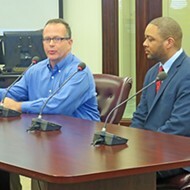 These days, he's a behind-the-scenes figure in Democratic politics in Shelby County. And Brooks — we know what she's been doing, don't we? Simultaneously running for Juvenile Court Clerk and hoping to escape the consequences of three separate public controversies. These had to do with brow-beating an Hispanic witness before the commission; picking up an assault charge for brawling over a parking space with another woman; and apparently not residing in the district that elected her, which could result in criminal prosecution. She would have issues in the legislature, too — notably her refusal to rise and recite the Pledge of Allegiance. Both there and later on the commission, Brooks developed a reputation for — well, dancing to her own tune as a largely self-appointed spokesperson for the African-American community. 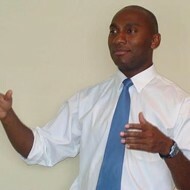 Back in 1993, however, in a legislative environment that was unusually open-minded by race and by party and by gender, Henri Brooks could follow the music. She's changed a good bit since then, but so has the General Assembly, ruled these days according to the rigid orthodoxies of the Far Right and as disinclined toward compromise in its way as Henri Brooks is in hers.